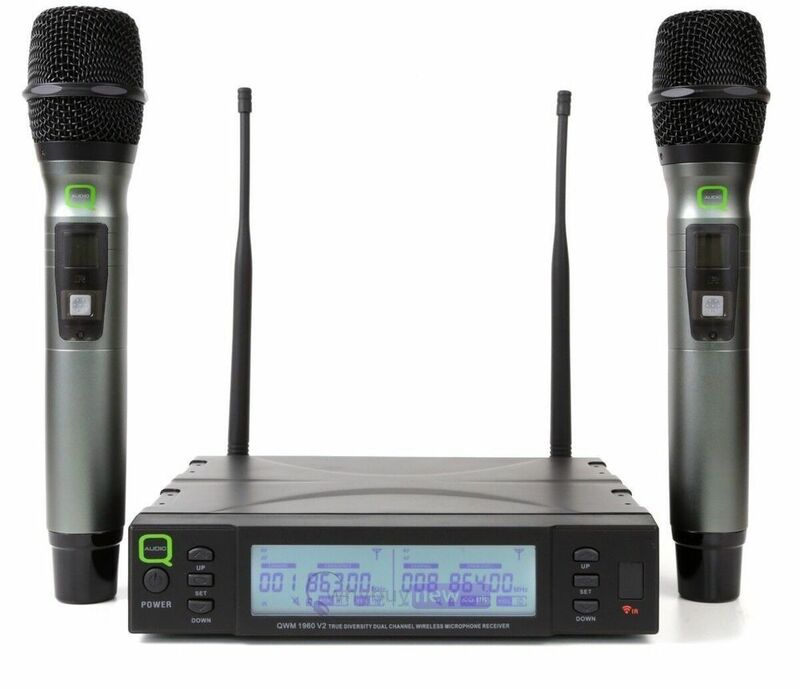 The Q-Audio QWM 1960 V2 HH is a fantastic quality, true diversity, UHF wireless microphone system with two handheld microphone transmitters. The system's true diversity technology reduces the chance of dropouts (loss of signal) from its dual antenna receiver. 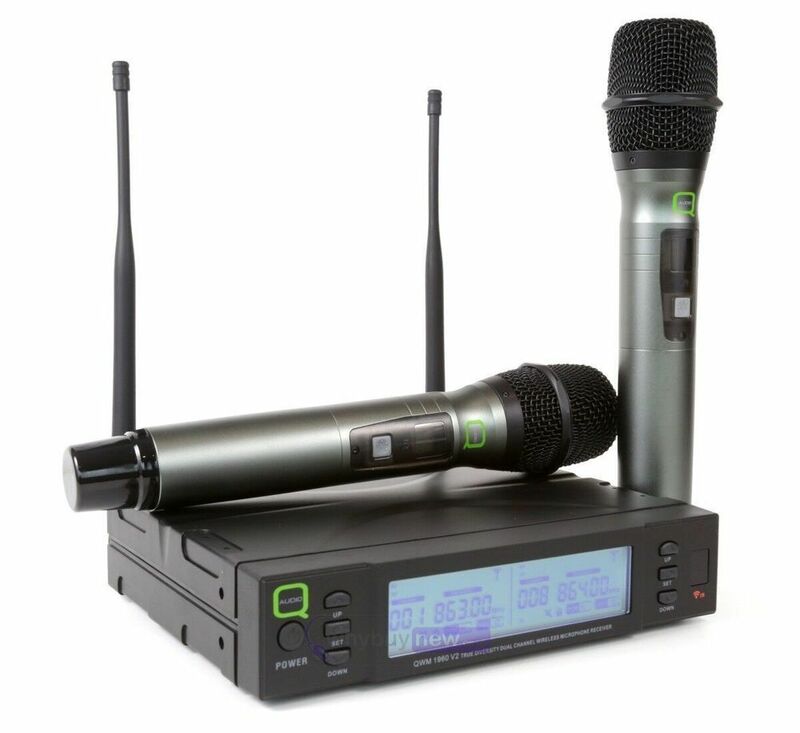 The Q-Audio QWM 1960 V2 is ideal for Aerobics & dance instructors, Vocalists & singers, DJs & musicians, Presentations and more. 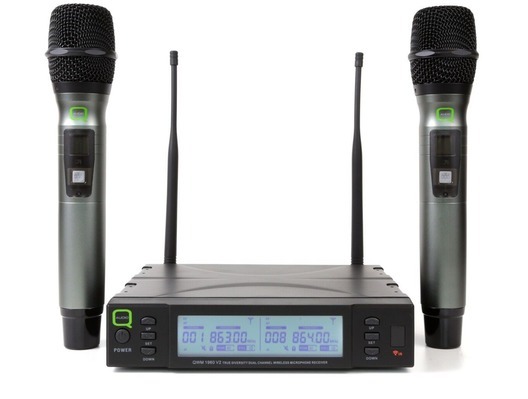 Here we have the Q-Audio QWM 1960 V2 HH Dual Microphone System in brand new condition and in B-Stock. The B-Stock versions (Channel 70) would have been on display at a training evening or trade exhibition only and will come boxed in great cosmetic condition with all accessories and a 1-year warranty.